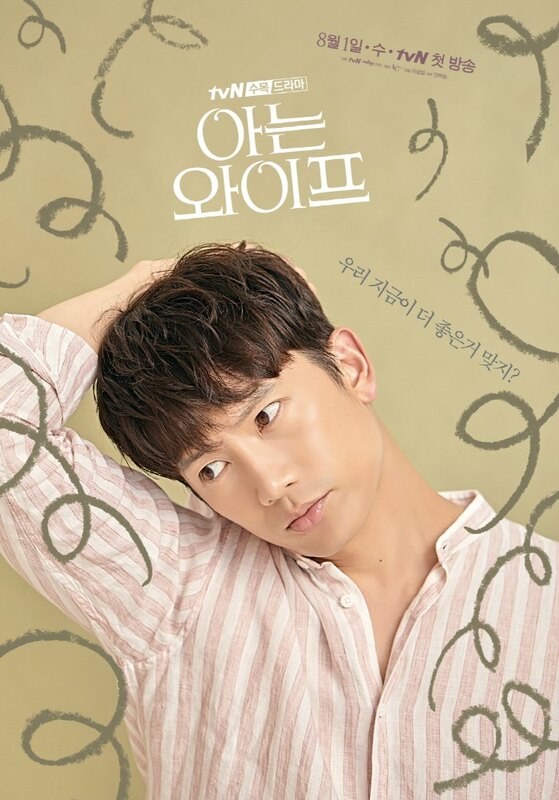 In the upcoming “What if” fantasy drama Familiar Wife a man, played by Ji Sung (지성), makes a choice in the past that causes several people, including his wife played by Han Ji-min (한지민), to have a different life in the future. I am not sure if this is a time slip drama where the husband goes back in time and changes something that makes his wife’s life change in the future, or if this is something more like the movie Sliding Doors where one choice leads to two very different paths for the protagonist and both paths are shown throughout the drama. I am also not really getting much info from the posters in respect to whether this is a time slip drama or not, though I love the colors and taste of vintage look to them. The group poster at the top has the phrase, “Today I will change my destiny,” with two different representations of three characters lives. The left possibly represents the rags and the right looks like it is the rich but Ju Sung’s character remains the same. I love the colors of all three posters and have put this one on our radar to recap when What’s Wrong With Secretary Kim ends. I really just want to pack my drama palate with love stories. I kind of don’t want to watch anything else right now, though Time and Life are pulling my by the collar as they beg me to watch them. Leave me alone sad-looking shows! 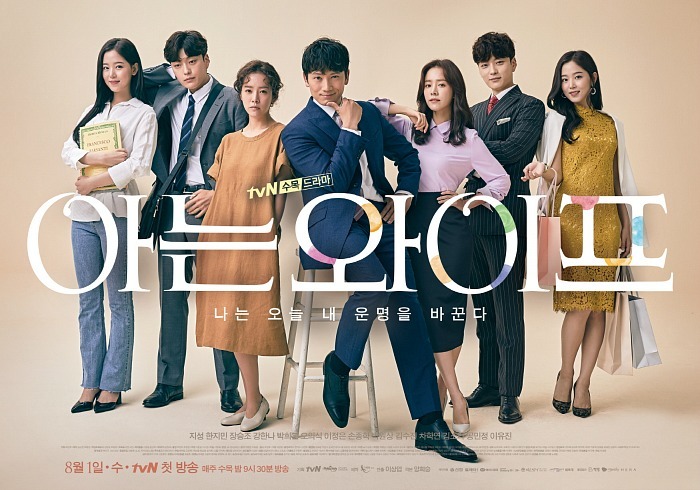 Familiar Wife airs August 1st and will replace What’s Wrong With Secretary Kim in the Wednesday and Thursday 21:30 time slot on tvN.